How does Magnus beat his opponents? Why is his rating 50 to 150 points better than of his rivals - today, when everyone has similar engines and databases, the information is so available and the overall playing level is so high? The answer seems logical: in order to be so much ahead of others, you must just play better, i.e. make stronger moves. But, as we all know, computers play better than humans these days. Is it possible for a human player to always make the best moves according to engine? It's actually not, because our physiology disallows us to use the computer's method of brute force. What does it mean to make the strongest moves, then? It actually means that in games between human players, the best move is often not the one suggested by an engine. In a separate position, there might be many different 'best' moves depending on many factors, first and foremost on your own and your opponent's playing style/condition. When we say 'the best move', we often cannot separate it from the particular opponent/time/place. The roughest example is: a tactical solution (even if approved by engines) won't work against a bright tactician, and a stably better endgame (even if it's the 1st line of Stockfish) won't do if your opponent has a taste for quiet endgames and you don't. It also applies to openings - each of them probably leads to a draw after best play by both sides. But a particular one will work better/worse than the other against a particular opponent at a particular time, because it's the very first moves which determine the pattern of a game, and different human players prefer different game patterns. (Remember frequent talks about Carlsen's "weak openings" and, for example, Carlsen beating Caruana with Black easily in the Scandinavian?) Besides, it applies to a specific tournament situation, as well as your opponent's like/dislike (and your own, of course) for particular positional patterns/maneuvers or even particular pieces. A choise can also vary very much because of a physical/psychological condition, on how you slept last night, etc. 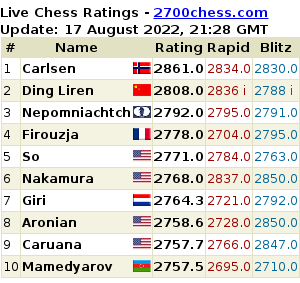 There are many, many more small factors which might seem minor (but which are not) that Carlsen is probably aware of to a better extent than the author. Even the manner in which a move is made can be important. The same move can be stronger or weaker (or, say, of a better or worse effect) if executed quickly and with confidence, or by a trembling hand, or in a cat-like quiet manner, or if followed by quick standing up and going away from the board. This is all part of psychological struggle which is almost as important for the outcome as the 'absolute' chess strength of your moves, irrespective of what chess engines might say. I suppose that finding those "Einstein-strongest" moves is what Carlsen excels everyone so much in, taking into account (consciously or subconsciously) as many side-factors as possible while making his decisions. Probably it was Lasker who has invented this approach; then, I think, it was Karpov who raised it to a new level, and now we have Carlsen. Of course, the Norwegian's chess skills are also brilliant, but the same can be said about, for instance, Aronian or Kramnik. What's enough for getting 2750-2800 isn't enough for getting 2882. And I think that's exactly what Korchnoi meant when he said that Magnus "hypnotises his opponents". If one doesn't agree with the author's opinion, try to explain some other way: how one is able to outplay Anand and other elite players so easily in relatively simple positions and/or "minor" openings, often making moves which do not match with engines' suggestions? Why can't many other extremely talented GMs who calculate very well, always study and play the most ambitious and fashionable lines even approach his level? Actually, is anyone else in the world (including engines) capable of outplaying Anand like that, in positions like that? Submitted by Сава on 10 November, 2014 - 23:51. Great article. 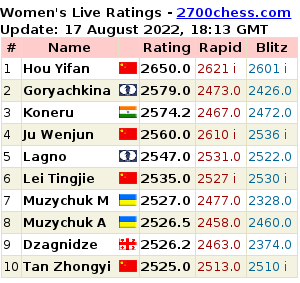 I really hope it is translated at some point for the Russian audience of chessnews.. Submitted by ZOMG on 11 November, 2014 - 21:34. Peter Svidler was asked a very similar question during the live broadcast of Game 3. His answer was short: "His drive". Carlsen's qualities of a pressure fighter, his tenacity and willingness to play for a win in near any situation, is what sets him apart from the rest of top grandmasters. E.SUROV: This is Chess-News. Lujbomir Ljubojevic, a renowned grandmaster, is here with me. Hello! GM Evgeny Sveshnikov: "You Should Outplay Carlsen in the Opening, but His Opponents Play h7-h5..."
We asked a well known GM Evgeny Sveshnikov to commentate on Carlsen - Nakamura encounter played in Round 12 in Group A. The game has made Magnus the winner of Tata Steel. The variation which took place in the encounter is usually referred as "improved Sveshnikov". GM's commentary is available in the audio player [in Russian]. GM Vassily Ivanchuk got back to Lviv, Ukraine after the Candidates tournament and before the Russian League he's been looking forward to. Ukrainian GM gave a short interview to the local newspaper Vysoki Zamok. "A strange match but oddly balanced. Carlsen plays without openings and Anand without endgames! Statistically, that's in Magnus's favor," Garry Kasparov wrote in his Twitter after Game 5 of the world title match between Carlsen and Anand finished. An interview in which GM Anton Filippov of Uzbekistan (2643) tells about the player from Kyrgyzstan Mikhail Markov (2305) was published on Whychess. These two players qualified for the World Cup (which will take place in Tromso, Norway in August) in the zonal tournament. Magnus Carlsen failed to beat virtual... Carlsen (VIDEO) "I think I'm in the start of my prime"
Anatoly Karpov: "Beating Anand Is Not Easy, But Carlsen Has Chances"
Anatoly Karpov who is now in Tromso shared his opinion on the upcoming World Championship match Anand - Carlsen. The 7th game of the World Championship match between Magnus Carlsen and Viswanathan Anand ended in a draw in 122 moves and has become one of the longest game (if not the longest) for the World Championship matches. The last 45 moves weren't totally necessary though, as one doesn't need to be a super-GM to hold the R vs R+N endgame without any difficulties. In fact, it was probably Magnus who was looking a bit more tired during the press conference.